The global exchange-traded fund (ETF) industry has gained considerably from upbeat equity market conditions over recent months, while investors continue shifting their assets into low-cost ETFs from actively-managed funds, which is bringing a steady inflow of new cash into the industry. Notably, total ETF assets globally reached the $4.6-trillion mark for the first time by the end of October. 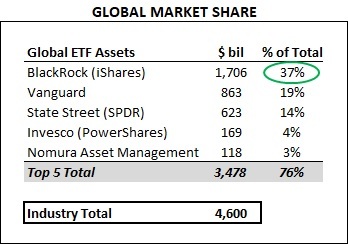 The three largest ETF providers (BlackRock, Vanguard and State Street) together manage more than 70% of this figure, with BlackRock alone responsible for a market share of 37%. We maintain a price estimate of $475 for BlackRock’s shares, which is around its current market price. 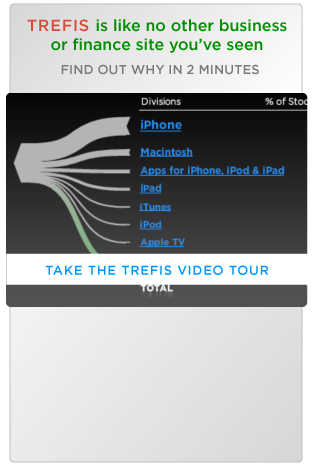 ETFs have seen impressive growth over the last decade, thanks to the convenience and transparency they provide investors, in addition to the relatively low fees. Over recent years, the intensifying competition among ETF providers has also triggered a price war among incumbents – making ETFs an even more attractive investment option for retail investors. Despite being the largest player in the industry since its nascent days, BlackRock’s iShares business continues to grow at impressive rates. The asset management giant reported net inflows of a whopping $215 billion over Jan-Oct 2017 – already more than 50% higher than the figure of $140.5 billion it reported for full-year 2014.